It’s not enough if he still knows where the money is coming from. President-elect Donald Trump, who’s been widely criticized by constitutional experts and former White House ethics attorneys for the conflicts of interests presented by his business, attempted to defuse these concerns Wednesday morning with a series of four tweets. Trump now says that he will be removed from the operations of the business that bears his name. However, if all that Trump does is turn over “business operations” to someone else, that does little to overcome the conflicts of interest he currently faces. So long as Trump is aware that he is earning income from his businesses, he doesn’t just have a conflict of interest — he is flouting the Constitution. The Constitution’s Emoluments Clause provides that “no person holding any office of profit or trust under” the United States “shall, without the consent of the Congress, accept of any present, emolument, office, or title, of any kind whatever, from any king, prince, or foreign state.” It’s an anti-corruption provision, intended to keep federal officials from having their judgment skewed by payments from foreign states. Since becoming president-elect, however, Trump has largely disregarded this constitutional limit. 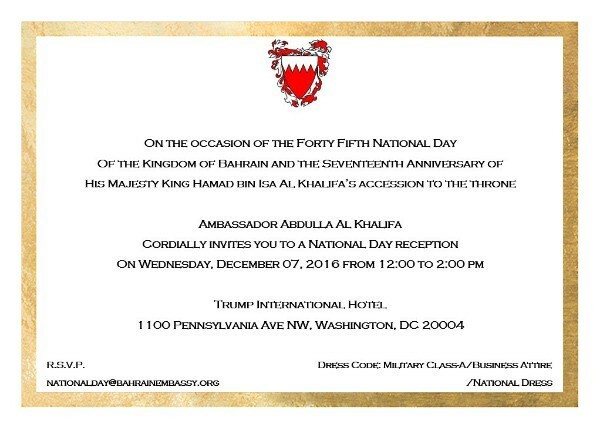 Among other things, one of Trump’s hotels held an event for foreign diplomats encouraging them to stay at the incoming head of state’s property. Many of these diplomats got the message loud and clear. As one told the Washington Post, “Why wouldn’t I stay at his hotel blocks from the White House, so I can tell the new president, ‘I love your new hotel!’” Another plans to host a posh event at Trump’s hotel. Ordinarily, presidents avoid violating the Emoluments Clause by setting up a blind trust. Such a trust is “blind” because it is managed by a third-party trustee and the president has no idea how that trustee has invested their money. Thus, the president might own, say, shares in Apple or Google or Microsoft, but they can still make decisions that impact the tech sector because they have no idea these decisions could affect their own bottom line. Trump may turn over operational control of his business, but if that is all that he does, it’s not like he won’t know who owns that hotel with the sign proclaiming “TRUMP” in front of it with big gold letters. He may no longer receive balance sheets telling him which foreign diplomats spent lavishly at a Trump property, but those diplomats will happily tell him about how lovely their stay at a Trump hotel was the previous night. Trump may no long run his company, but if he still knows that he is earning money from the company, then he still has a conflict of interest. Indeed, given Trump’s intimate knowledge of his own business — a business that he has run for many years — it is unlikely that Trump could eliminate his conflict of interest even if he did turn the company over to a third-party who shields Trump from any information about the president-elect’s own investments. Again, it’s not hard for Trump to guess who is making money off a property with his name on it, especially if it is a property Trump obtained while he was running the company. Earlier this month, Richard Painter, a former chief ethics counsel to President George W. Bush, told ThinkProgress that “the only good answer” for the president-elect, given the conflict presented by his D.C. hotel, “is to sell the hotel or give it to his kids (and pay the gift tax) by January 20.” The same is true for Trump’s other properties. His only real solution, according to several experts in presidential ethics, is to sell his company and place those proceeds in a blind trust. That way, Trump will truly be ignorant to how his decisions as president will impact his own fortune. Simply giving up control of the company isn’t enough.